I had a great time creating this card for two different challenges. by my friend Judy. She has beautiful samples over there for you to see! She asked us to use bleach on our creation. Here is a video from Gina K. for you to watch if you have never tried this before. I really recommend it…it’s so much fun with endless possibilities. I pretty much did exactly what Gina did on this video! 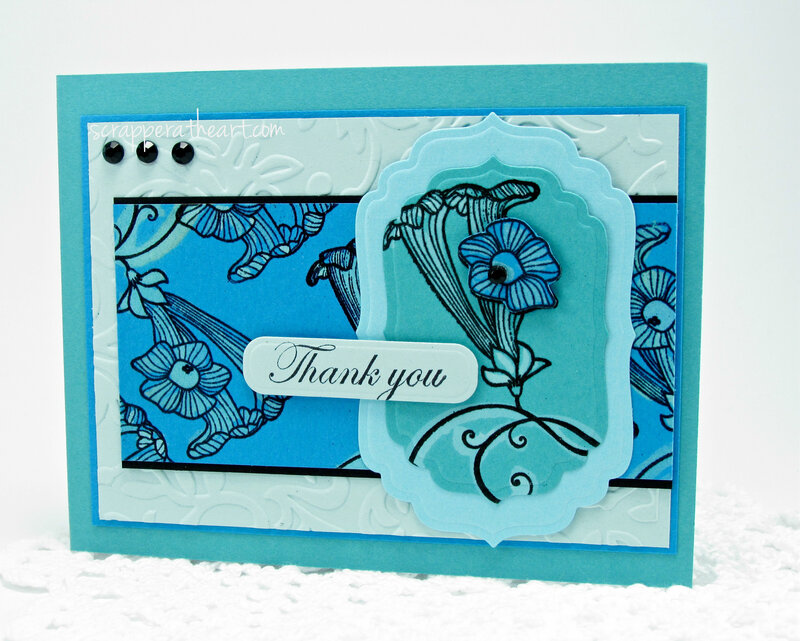 New Guest Designer Barbara Campbell! 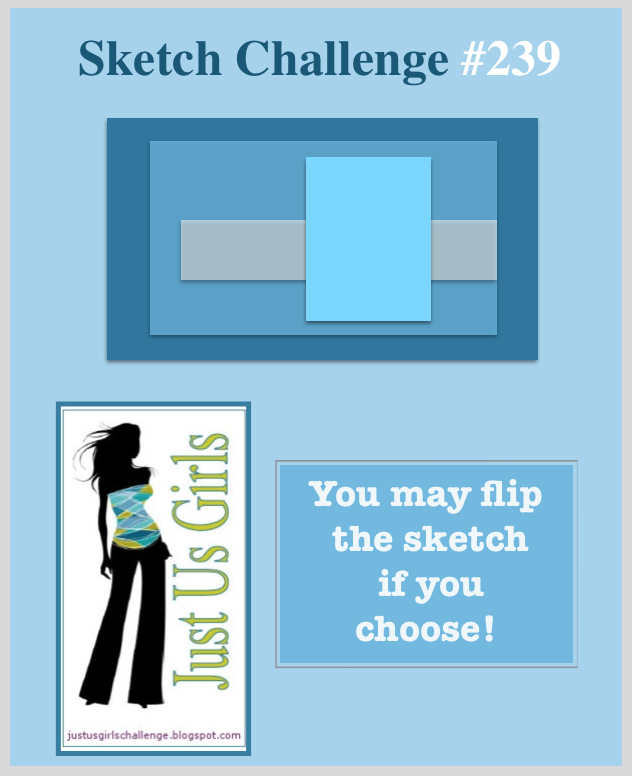 Categories: Cards | Tags: Card making, Cards, rubber stamps, sketch challenge, Stamp TV, stamping, Thank you card | Permalink. Nice job with both challenges! I love the embossing under that gorgeous focal image too. I haven’t done the bleach technique for quite a while, but it really is a lot of fun. Great job! Beautiful card! I have totally forgotten about the bleach technique. your cam out awesome. Mine were always a mess. I will check out the video! This is so pretty! I love that blue color! So fresh and fun! You are so brave to be working with bleach…I would be entirely colorless if I used it! Hahaha! Great use of the sketch! Gorgeous colour. I have never tried working with bleach – well done! Gorgeous card Nancy. What fantastic colors too…wow! What a beauty. Love the bleached out look! I love all of the texture that you achieved with the embossing and the bleaching technique. You are so clever and an artist. Nancy, this is beautiful! The colors are all so rich and gorgeous. Your bleaching really turned out great. Love your monochromatic take on the sketch! The colors are gorgeous! Super use of the technique and the sketch! Super job! LOVE the colors!! Great job! BEAUTIFUL, Nancy! LOVE your colors and that bleach technique!